The money in women's golf is, unfortunately, much less than is available in men's golf. So women who are chasing the dream of playing on the LPGA Tour are always searching out opportunities. Opportunities to play tournament golf, opportunities to earn a little money to help them get to the next tournament. Most everyone knows the Symetra Tour is the level just below the LPGA. And below the Symetra is the Cactus Tour and Canadian Women's Tour. And there are other regional tours such as the Suncoast Series. And there are also state opens. They don't get much attention, but state opens are great places for young golfers to put themselves into a competitive environment, gain experience, and perhaps make a little money. Seul-Ki Park did all three of those things when she won the Ohio Women's Open this week. Park finished at 138 in the 36-hole tournament, three strokes ahead of runners-up Kaitlyn Rohrback and Allyssa Ferrell. The 2014 Ohio Women's Open took place at Eagle Rock Golf Club in Defiance, Ohio. It had a purse of $25,000. Park earned $6,000 for the win. One year earlier, Park was runner-up at the OWO. Park grew up in Illinois and before graduating from the University of Illinois in 2009 enjoyed a lot of success in state amateur championships. That included winning the 2004 Illinois Junior Girls Championship. She won two NCAA tournaments for the Fightin' Illini. 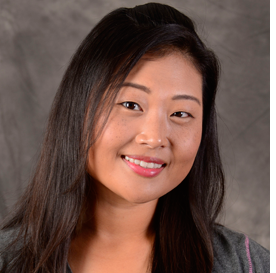 Park joined the Symetra Tour in 2010 and to date her best finish on that tour is a tie for fourth at the 2012 Florida's Natural Charity Classic. Putting is a strength of her game; in 2012 she finished ninth on the Symetra in putts per round. Q. What is the most rewarding charitable thing you've done? A. I let my boyfriend beat me at golf.